Paul R. Oebel, Principal of ON Entertainment, LLC and SOWN Minerals, LLC, has over 10 years experience as a City level Event Coordinator, managing events with over 100,000 attendees and compiling extensive budgets. Long-standing relationships with investors and celebrities continues to facilitate raising capital for business and humanitarian causes. Mr. Oebel’s lifelong love of art and design led to operating his own marketing company since 1996, designing cross-platform marketing solutions, material and websites. His facility for networking in Hollywood, combined with his position as Creative Director at White Owl Films Production Company prepared him to co-found ON Entertainment, LLC and serve as Executive Producer on multiple entertainment initiatives. Having operated his own construction company with a crew of 40 for 16 years, Mr. Oebel has also cultivated a keen interest in sustainable building models and construction as a whole. He has served as a non-denominational church Pastor, presides over a ministry and currently owns the Faith Unveiled TV Network. Accomplishments and public accolades include: Listed in multiple publications; Books and Articles for Successful Business Executives; Certificates of Accomplishment from the State Governor and Local Municipalities; and holds 2 Hononary Doctorates of Divinity. 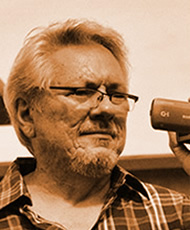 Paul O Nelson, COO, has participated in and around the entertainment industry for over 40 years, from music performance to screenwriter and producer. Mr. Nelson draws from more than 30 years experience as a principal developing and managing businesses from startups to hands on management—including founding a major catcher/ processor/ distributor/ exporter of Alaskan and Puget Sound seafood, founding and operating residential and commercial mortgage companies, specializing in project finance, international consulting (to China Elders and State-Owned companies, such as CMEC - China National Machinery & Equipment & Export Corp), and asset management for NGO’s (Healing Community Foundation and Hill Country Ministries). Mr. Nelson gives back to local communities as a performer with the Laguna Community Concert Band. Bones West http://boneswest.org/ and others. 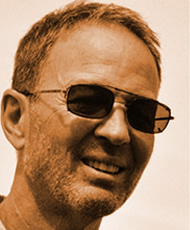 Harvey Lowry, Director, entered the film industry in 1990 and soon became the President and Director of Operations for one of the largest special effects and film production companies in California. 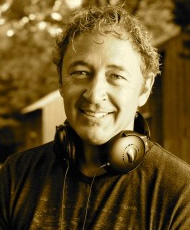 Over the course of nineteen years, winner of 6 Emmy Awards, he has supervised the production for over 150 feature films, television shows, music videos, commercials and documentaries. He has independently produced 19 feature films and 3 television shows. Harvey has collaborated on the films “The Pirates of the Caribbean: The Curse of the Black Pearl,” “Alice in Wonderland,” “A Beautiful Mind,” “The Passion of the Christ,” “Hannibal,” “Big Mommas House” and “The Watchmen” and many others.